The Fastest Family Alive!! : Bringer of Rain, Slayer of Theokoles! I will update/post more later but I need to get these videos up that my husband took/got at San Diego Comic Convention this weekend!! He has scored major points in the best husband category. Katrina Law, Mira from Spartacus (on Starz ... The only reason why we pay for premium movie channels .. and that is not a lie .. ask B) met my husband a few weeks back in Philly. He got me an autograph and "said" he told her about me (didn't quite believe him at first). Then she TWEETED ME (Nerd I know). 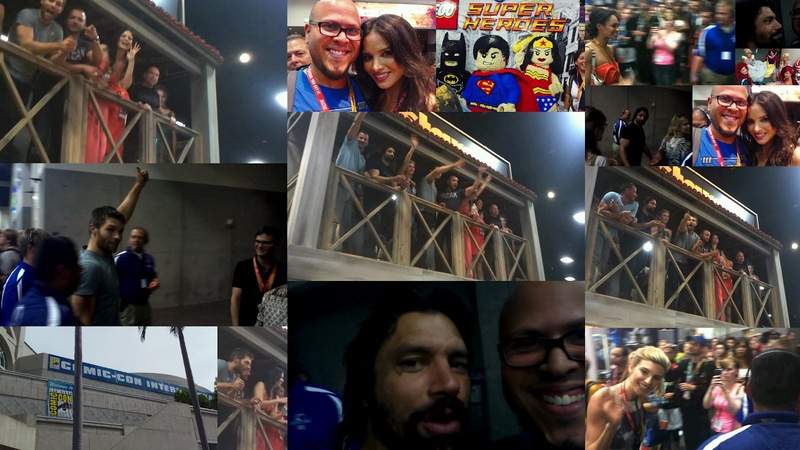 Manu Bennett (Crixus from Spartacus) walks by and what happens next is a fans biggest dream. If you have absolutely no idea what I am talking about, crawl out from under the rock you are living in and check this out ... Official Trailer for the Fourth (and say it ain't so) FINAL :( season. Already planning our Second Annual Spartacus kick off viewing party in Jan of 2013!! seeing that cast was WAY better than sitting in a line for 2 hours to sit far away in a panel. that was the best day EVAR! !